The big picture: You’d be hard pressed to find a topic that’s received more attention, been more closely scrutinized or talked about at greater length recently than Artificial Intelligence, or AI. Alternatively hailed as both the next big thing in technology—despite a multi-decade gestation period—and the biggest threat that the tech industry has ever created, AI and the related field of machine learning are unquestionably now woven into the fabric of modern life and are likely to remain there for some time to come. Despite all the interest in the topic, however, there’s surprisingly little insight into how it’s actually being used in real-world applications, particularly in business environments. To help address that information gap, TECHnalysis Research recently engaged in an online survey of IT and other tech professionals in medium (100-999 employees) and large (1,000+ employees) size US businesses to help determine how AI is being deployed in new applications created by these organizations. After starting with a sample of over 3,700, the survey respondents were whittled down to a group of just over 500 who provided information on everything from what applications they were creating, the chip architectures they leveraged for inferencing and training, cloud platforms they utilized, the AI frameworks they used to build their applications, where they were deploying the applications now and where they planned to deploy them in the future, and much more. The full analysis of all the detailed data is still being completed, but even with some early topline results, there’s an interesting story to tell. First, it’s interesting to note that just under 18% of the total original sample claimed to be either pilot testing or doing full deployments of applications that integrate AI technology. In other words, just under 1 in 5 US companies with at least 100 employees have started some type of AI efforts. Of that group, 55.8% are actively deploying these types of applications and 44.2% are still in the development phase. Among companies in the sample group who are self-proclaimed early adopters of technology, an impressive 72% said they are using AI apps in full production environments. For medium-sized companies in the qualifying group, just over 50% said they were in full production, but the number rises to just under 61% for large companies. 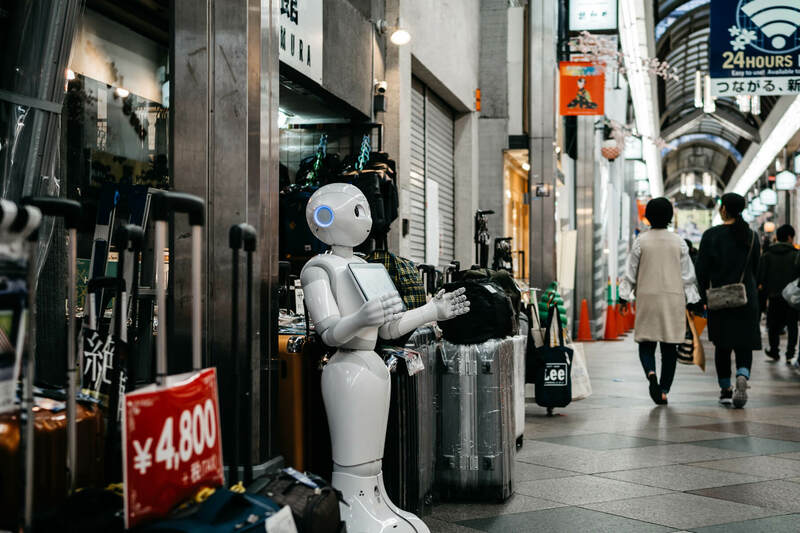 Despite all the press coverage and heated online discussions about the topic, the truth is, a lot of people don’t really know what AI is, nor what it can do. Equally interesting were the reasons that the remaining 82% of the total sample group are not creating AI-enhanced applications. Not surprisingly, cost was a big factor among those who were even considering the technology. In fact, 51% of that group cited the cost of creating and/or running AI applications as the key factor in why they weren’t using the technology. The second largest response, at just under 35%, came from those who were intrigued by the technology, but just weren’t ready to deploy it yet. The third largest response at just under 32% (note that respondents were allowed to select multiple factors, so the total adds up to over 100%) was from a real-world concern that many companies have voiced—they don’t have the in-house expertise to build AI apps. This isn’t terribly surprising given the widely reported skills gap and demand that exists for AI programmers. Nevertheless it highlights both a big opportunity for developers and a huge challenge for organizations that do want to move into creating AI-enabled applications. The fourth most common response from this group at 29% was that they didn’t know how AI would be applicable to their organization and another 26% cited not enough knowledge about the subject. Both of these last two issues highlight another real-world concern around AI: the general lack of understanding that exists around the topic. Despite all the press coverage and heated online discussions about the topic, the truth is, a lot of people don’t really know what AI is, nor what it can do. Of course, it doesn’t help that there are many different definitions of artificial intelligence and a great deal of debate about what really “counts” as AI. Still, it’s clear that the tech industry overall needs to invest a great deal more time and money in explaining what AI and machine learning are, what they can (and cannot) do, and how to create applications that leverage the technologies if they hope to have more than just a limited group of companies participate in the AI revolution. From an industry perspective, it’s probably not surprising but still interesting to observe that almost 27% of respondents who were piloting or deploying AI apps came from the Tech industry. Given that tech workers make up less than 5% of the total workforce, this data point shows how much more the Tech industry is focused on AI technology than other types of businesses. The next largest industry at 13.3% was Manufacturing followed by Professional, Scientific and Technical Services at just under 10% of the respondents. There’s a great deal more information in the survey results and in future columns I plan to share additional details, but even from the top-line results it’s clear that while the excitement around AI in the business world is real, there’s still a long ways to go before it hits the mainstream.